Rapid climate change and melting sea ice in the Arctic has made is possible to sail over the top of North America in a single season for the first time. 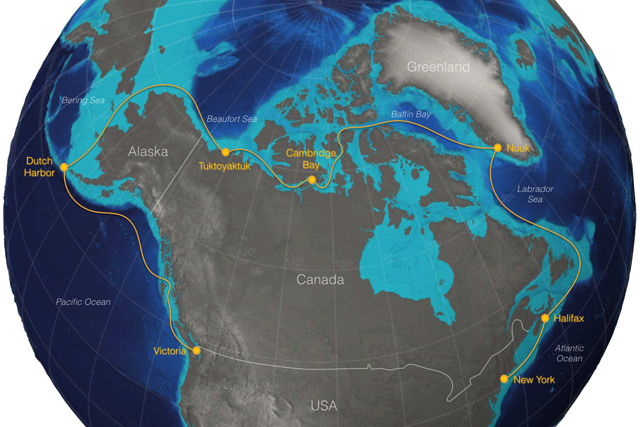 A new extreme sailing race has been launched with the goal of being the first to race from the Atlantic to the Pacific through the ultimate course – the Northwest Passage, while raising awareness about marine and Arctic conservation issues. Sailing The Arctic Race (STAR) is heading north in 2017, taking a fleet of international sailors who will compete for the glory of being the first to race through the Passage, breaking records for the fastest transit. 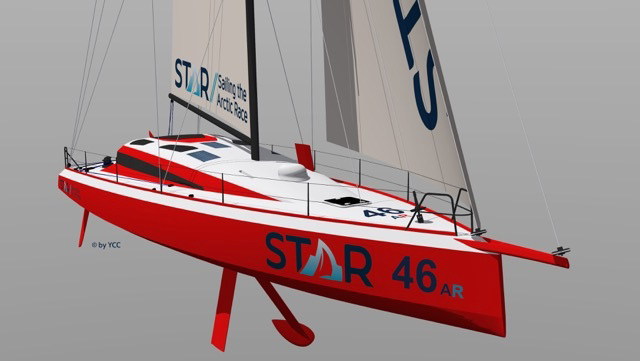 They will be racing STAR46 high performance volcanic-fiber offshore yachts, built specifically for high performance sailing in high latitudes (i.e. polar conditions). Volcanic fiber construction is new in the sailing world. It has been called the ‘next generation of carbon fibre’, and offers a number of great perks including additional strength without adding weight. It is also a recyclable material, and less energy intensive to produce. The STAR46 yachts feature dual hull provides a safety buffer in case of collision, essentially creating a boat within a boat. A reinforced ‘crashbox’ in the bow ensures that damage from a head on collision is limited. The canting keel includes an innovative hinge system, and lifting volcanic fiber daggerboards provide additional stability. Starting on the east coast of North America in New York in July 2017, STAR teams will race six legs with stopovers in Halifax, Canada; Nuuk, Greenland; Cambridge Bay, Canada; Tuktoyaktuk, Canada; and Dutch Harbour, Alaska. The 7,700-mile race is scheduled to finish in Victoria, Canada in October 2017. Fans are being encouraged to cheer on the elite sailors at the seven host cities along the race route. STAR combines a challenging route with an incredible chance to see a beautiful, fragile environment. 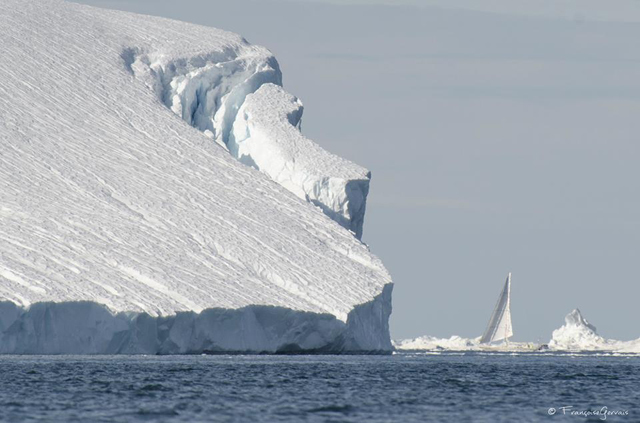 A race spokesman said: ‘It is a privilege to be able to sail the oceans of the world and visit remote wildernesses like the Arctic and STAR is working hard to ensure a net zero impact of the race.